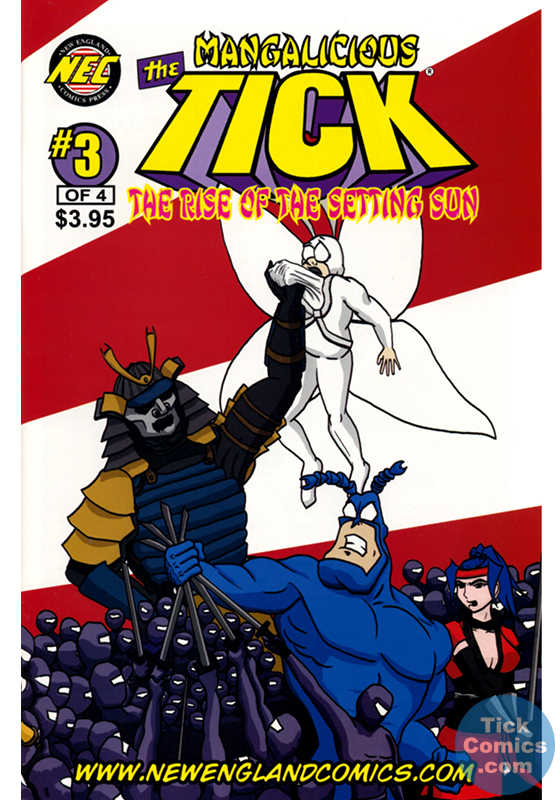 The Tick. Mangalicious Series. 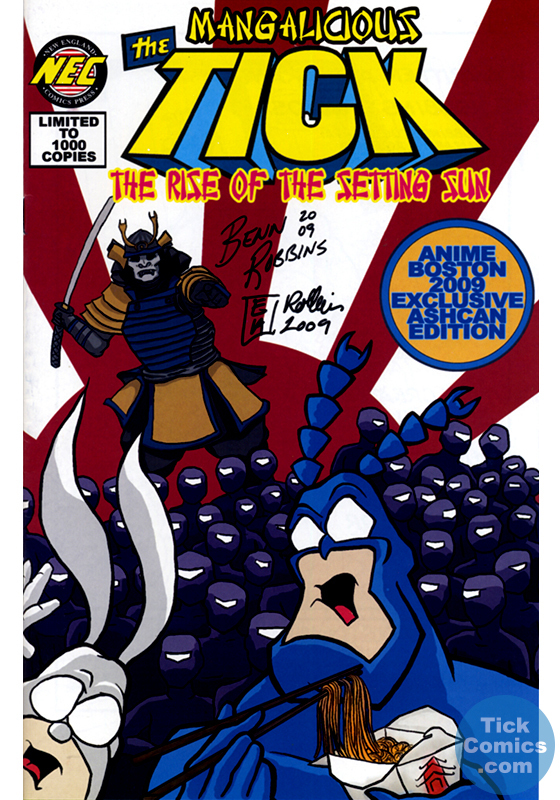 Issue 1. 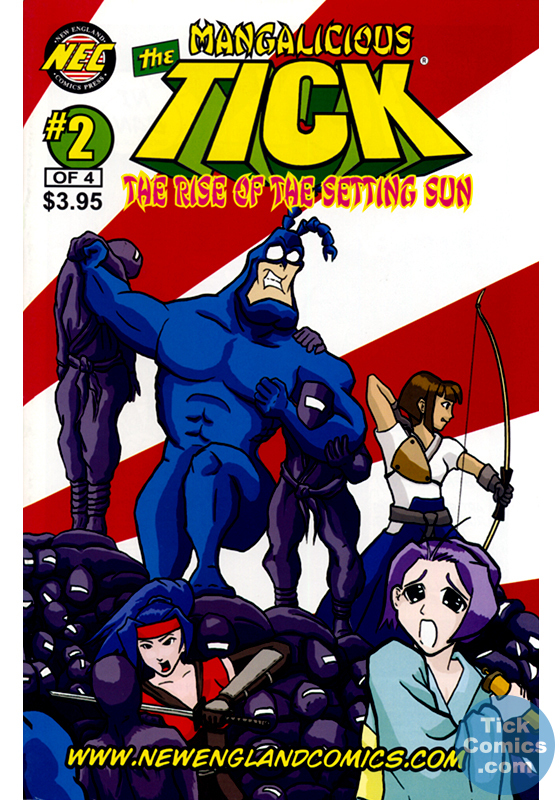 1 1st 2009 - August "The Rise of the Setting Sun - Part 1"
2 1st 2009 - September "The Rise of the Setting Sun - Part 2"
The Tick. Mangalicious Series. 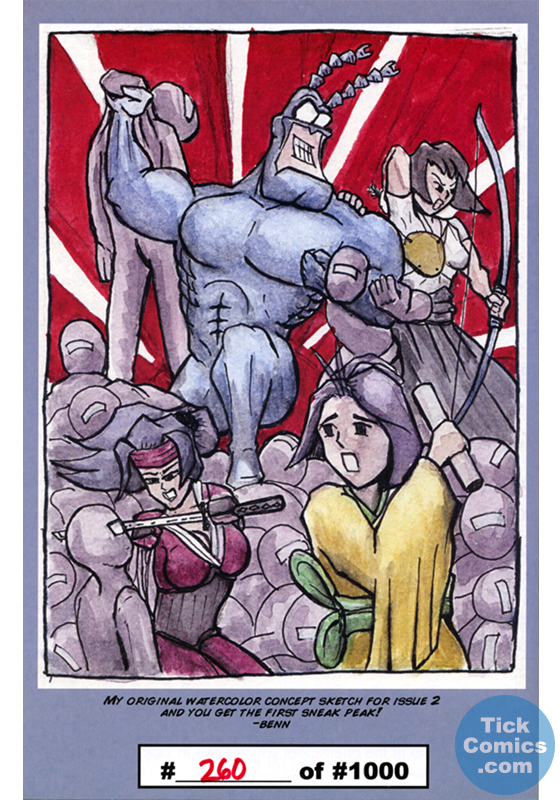 Issue 2. 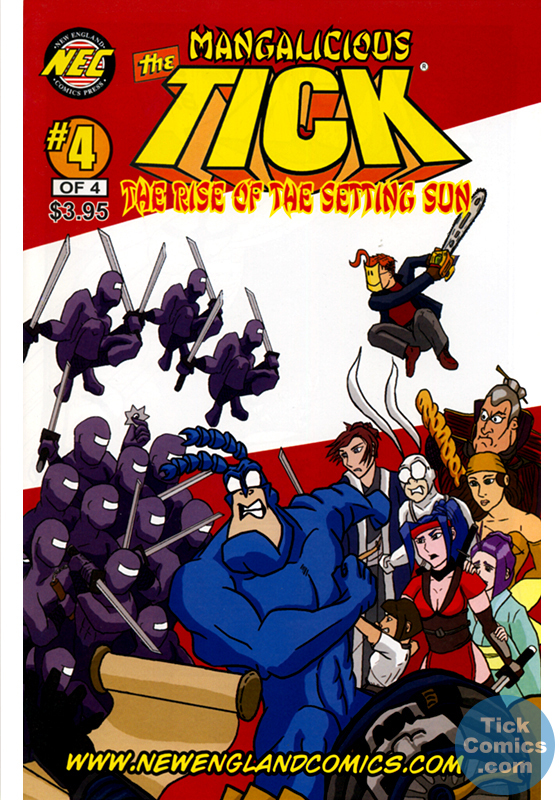 3 1st 2009 - November "The Rise of the Setting Sun - Part 3"
The Tick. Mangalicious Series. Issue 3. 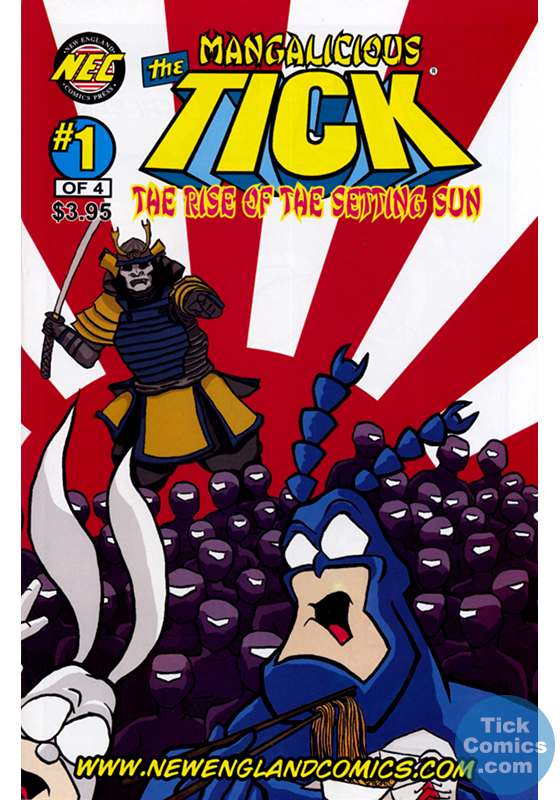 4 1st 2009 - December "The Rise of the Setting Sun - Part 4"
The Tick. Mangalicious Series. Issue 4.